Happy National Tequila Day! Fresh pineapple, spicy Thai chili pepper simple syrup, Tequila and Triple sec makes one fitting drink! I have been harvesting tons of Thai chili peppers from a small potted plant. It’s amazing how much a tiny plant can yield! 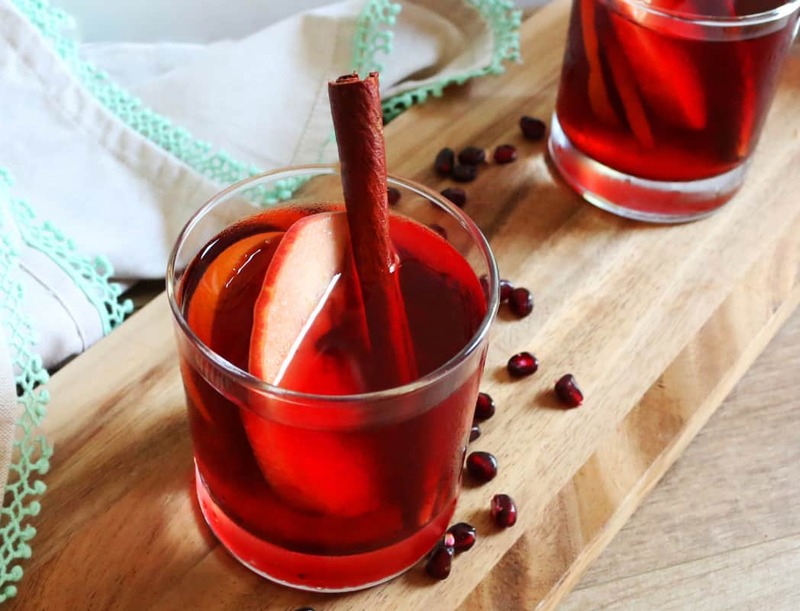 These peppers add a touch of heat to the drink, without overpowering! 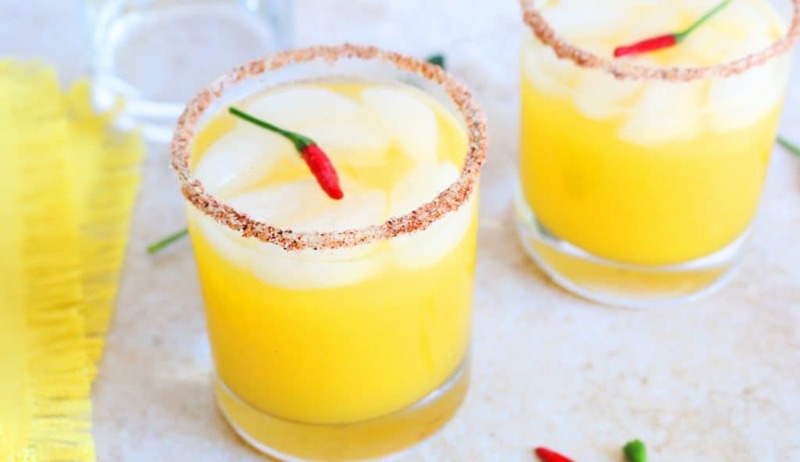 Love the color of this margarita, bright sunny yellow with red chili peppers. Screams sunshine in a glass! Simple syrup can be made up to a day ahead and stored in the refrigerator. Any type of chili peppers can be used, green ones or even sliced jalapeños would work great. You could strain the pineapple puree, but I didn’t. My Nutri bullet did an excellent job! Add chopped pineapple and water into a blender and blend well. 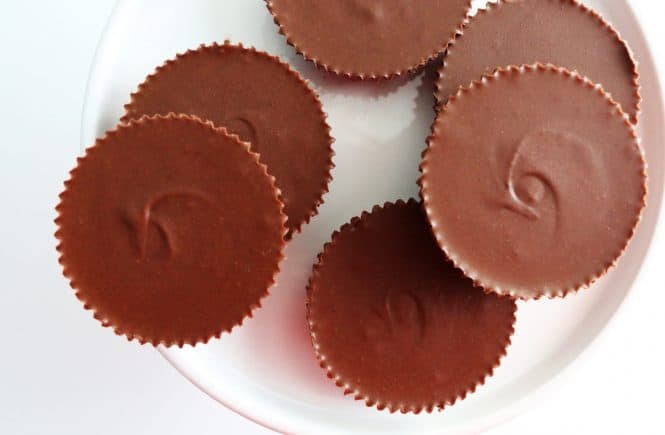 Measure 1 cup for the recipe. Combine sugar, water and chili peppers in a small saucepan, bring to a boil, over low-medium heat (stir occasionally for sugar to dissolve). Cool to room temperature. Stir together salt and chili powder in a small plate. Rub a lime wedge around the rim of two servings glasses and evenly dip the rim into salt-chili powder mixture. Stir all margarita ingredients together. 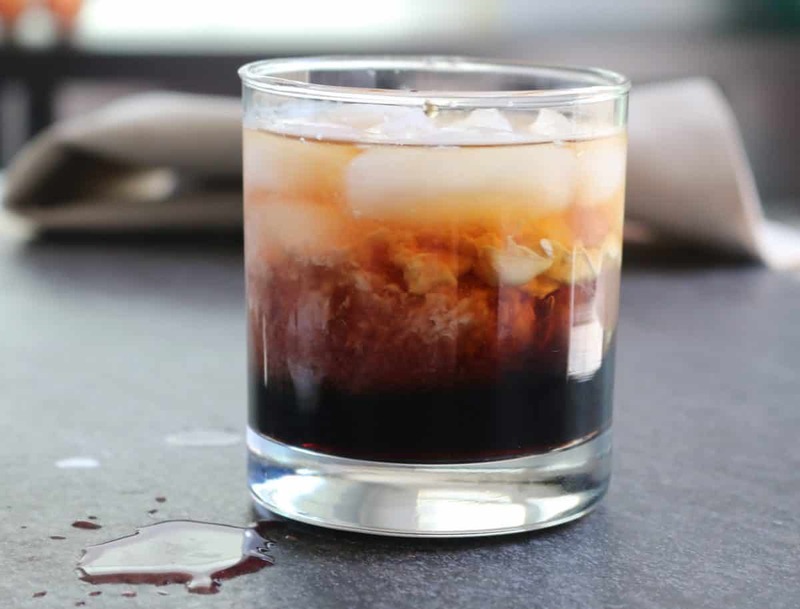 Pour into the two glasses and top with ice. Garnish with Thai chili peppers.